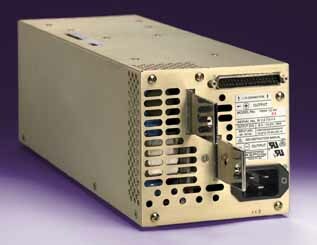 The Kepco HSM series comprises a group of ten models, seven 1000 watt power supplies with outputs from 3.3 volts to 125 volts and three 1500 watt power supplies with outputs from 24 to 125 volts. All models feature current sharing for parallel operation and redundancy applications. 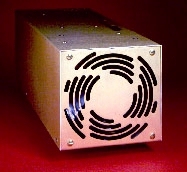 Kepco¹s 1000W HSM have a wide-range input (90-277V a-c). The 1500W models operate 180-277V a-c. Both incorporate power factor correction to meet EN 60555-2 and EN 61000-3-2. These modern power supplies operate at 100KHz using current mode control to provide rapid response to source and load changes and tight stabilization. HSM are designed in accordance with EN 60950 and UL 1950 and have been approved by UL/CSA/VDE (125V models are not UL rated). A built-in conducted EMI filter attenuates the noise reflected back onto the mains below the limits of FCC, level A and CISPR, Class A. HSM are capable of sustaining full load operation through the loss of one full mains cycle at any source voltage and without indication of failure. If the mains power is lost for more than one cycle, HSM provides a flag a minimum of 5 milliseconds before the output loses regulation. They meet the ANSI C62.41 guidelines for withstanding surges on the mains. HSM are modular designs for OEM and DIN Rail mounting. HSM output is fully protected for any overload including a short circuit. The normal overload protection mode is continuous current limiting. A switch selectable option will latch the power off after 30 seconds to avoid damage to load wires. An overvoltage protector latches the power off whenever the output exceeds a user-set limit. Remote control of the HSM is provided via one of two isolated TTL-level signals, one normally high, the other normally low. An internal 5V supply powers this circuit and provides an auxilliary 5V, 100mA output on all models. This voltage is available whenever source power is applied whether or not the output is inhibited. The output is normally ON if no remote logic is applied. The main output voltage is remotely trimmable by resistance. Both output voltage and current limit are adjustable via remote analog programming (0-10V). HSM are similar to the HSP power supply family but they are mechanically configured as modular units without the plug-in hot swap feature and are DIN rail mountable. All HSM modules include built-in current sharing and can be easily paralleled for N+1 redundant configuration by specifuing option R which adds built-in OR-ing diodes. 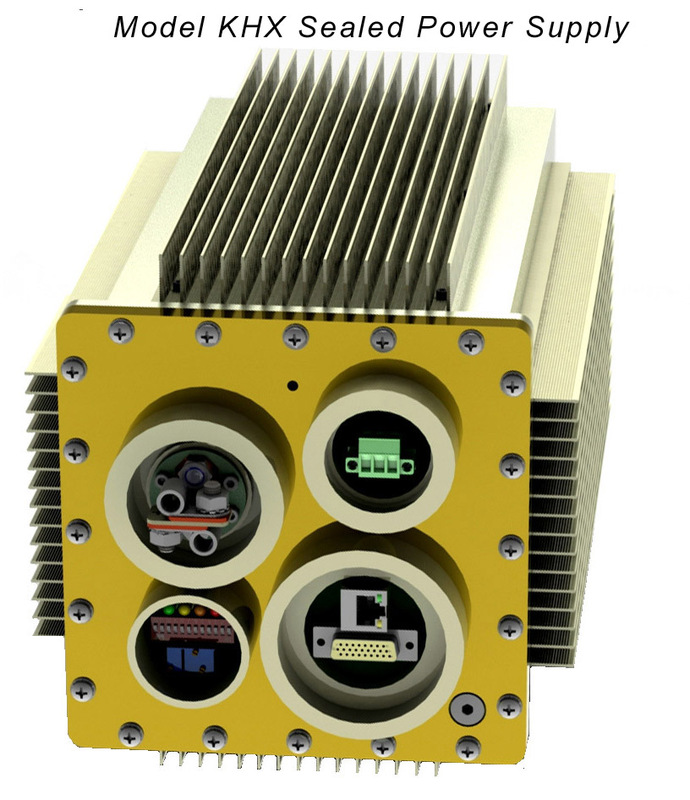 Need a ruggedized HSP? See Kepco's new submersible KHX Series. HSM models can be mixed with your choice of Kepco modular power supplies (e.g., AE, AK, AEK, HSM, ME, MP, RTW, RKE, and HWS) and packaged in one of our standard rack adapters for a custom power solution you design yourself. Or, if you chose, give us your specs and we'll design it for you. HSM are CE Marked per the LVD, EMC and RoHS 2 Directives. See applicable Declaration of Conformity.